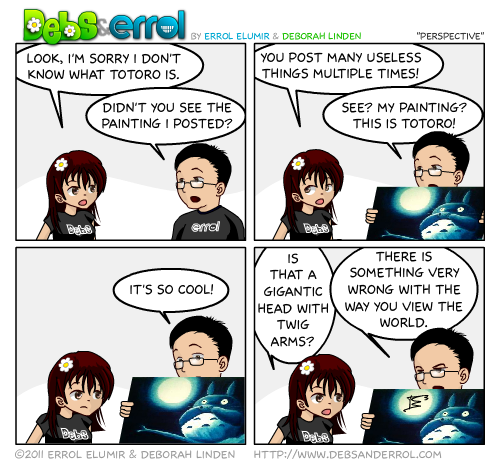 Errol: When Debs first saw my painting, she thought that Totoro’s body was a huge face and the branch was his arm. Totoro rules! There should be more paintings of Totoro! Art is and always will be in the eyes of the beholder!